The Institute of Politics (IOP) hosted “President Trump: Year One,” a panel discussion with prominent journalists, at Ida Noyes Hall on Monday. 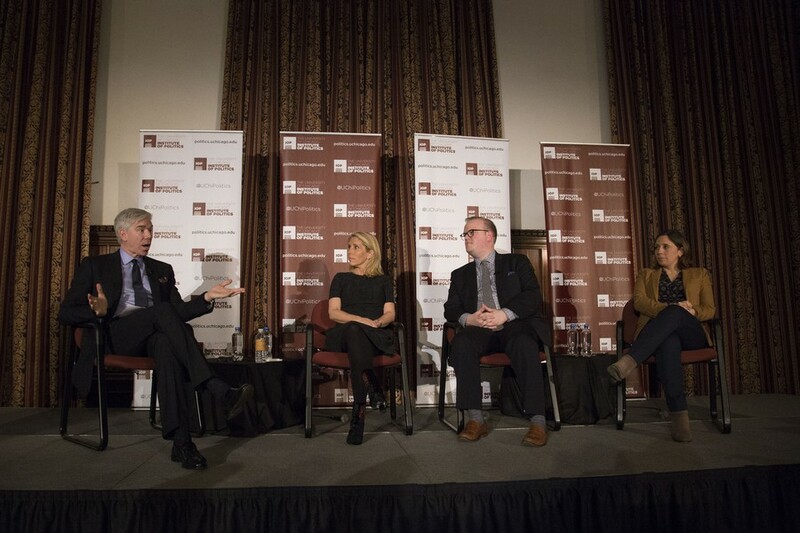 Moderated by CNN political analyst David Gregory, the panel featured CNN Chief Political Correspondent Dana Bash, staff writer for The Atlantic and IOP Pritzker Fellow McKay Coppins, and Associated Press Washington Bureau Chief Julie Pace. The panelists also noted a current deficiency among journalists: the Trump obsession. “Everything is not the end of democracy. We lose trust with our audiences when we push it to the extremes. I have been pushing my staff to read history and realize that, in reality, none of this is unprecedented,” Pace said. The importance of different media platforms and their respective impacts was a sustained theme throughout the discussion. When the floor was opened for questions, an audience member asked how we can be responsible consumers of news. The panelists implored people to take agency for themselves.